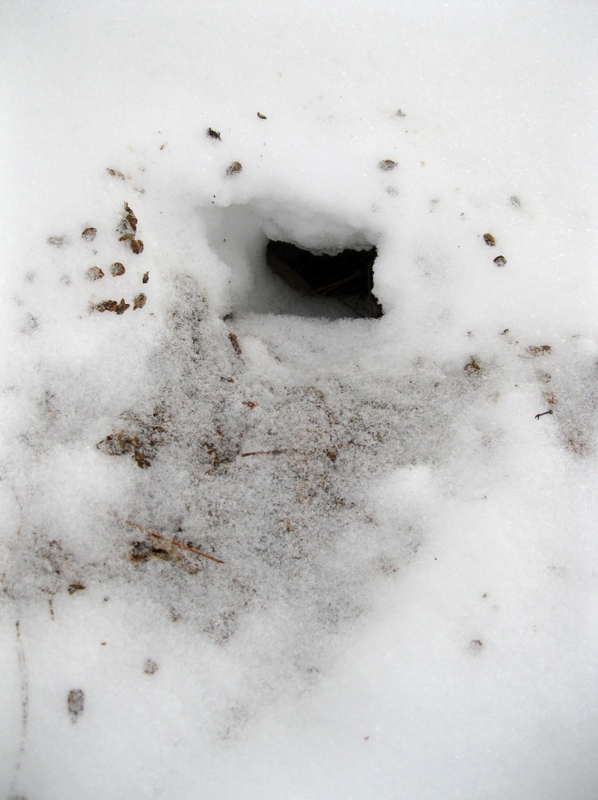 Entrance to a squirrel’s cache under the snow. 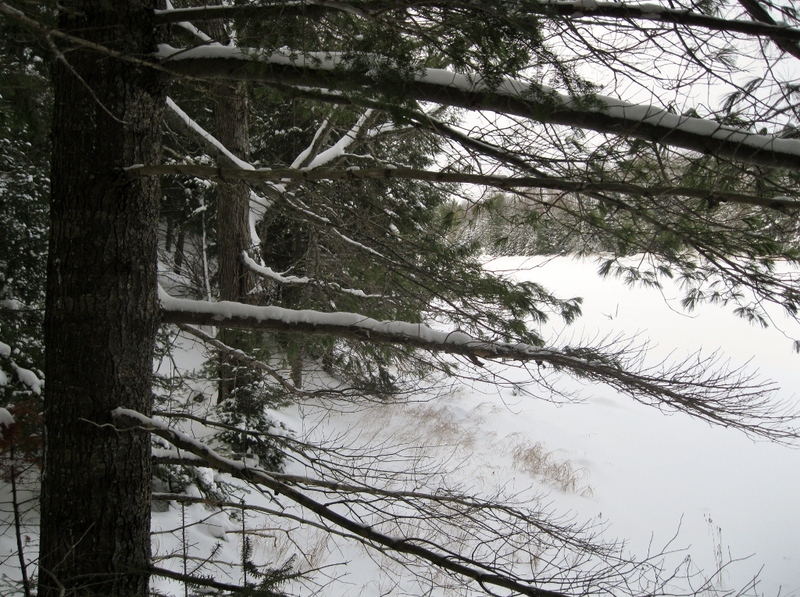 Looking out across the snowy lake. 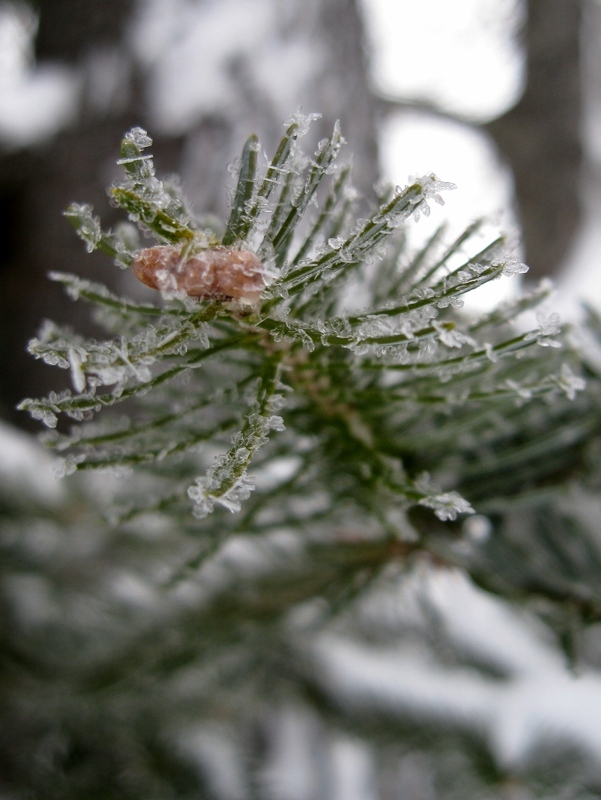 But they sounded like the very first stirrings of spring: for the first time this year, I heard chickadees practicing their whistle songs and woodpeckers drumming in the trees. Our chickadees are whistling now, too, but I haven’t heard any woodpeckers drumming yet. Will have to listen for them the next time I’m out!